Do you live in Barcelona and you don’t have any time during the weekdays to study Spanish? This is the course for you! We are going to start Spanish courses on Saturdays morning in September. These courses are ideal for all people who are working or studying in Barcelona and don’t have any time available to practice their Spanish during the weekdays. The course will be three hours every Saturday. Our lessons are dynamic and we follow the communicative method, that is, from the very beginning you will understand, read, write and above all speak in Spanish. If you already have an intermediate or an upper intermediate level, you will have the chance to practice and considerably improve your level. To register in the course you can write an e-mail to info@dimebarcelona.com specifying your details (name, surname, nationality and level). You can book your spot in the course paying 50€ in advanced. You can come to Dime and make the payment by cash (in this case we can make an appointment) or make a transfer. The first day of class you can pay the rest. If you are not totally beginner we will make an appointment to do a level test (up to 30 minutes) before starting the course. You’ll meet one of our teachers and you will explain your experience with Spanish, your challenges and your goals. After the test, we will tell you which group you can join. 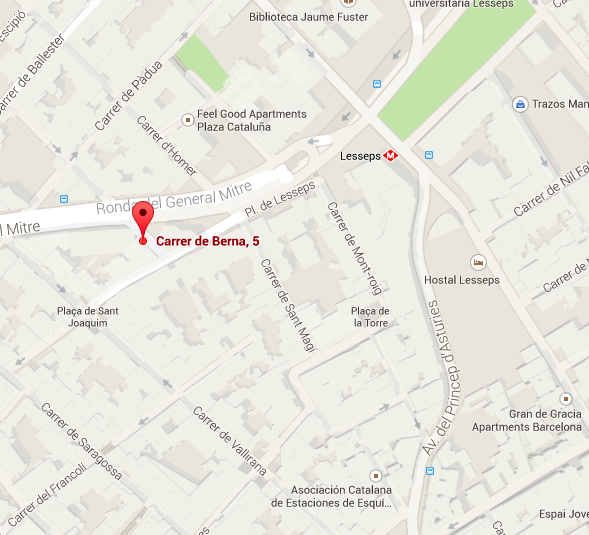 The school is located in calle Berna 5, bajos, 08006 Barcelona- 5 minutes from Lesseps metro Station (L3, green line). 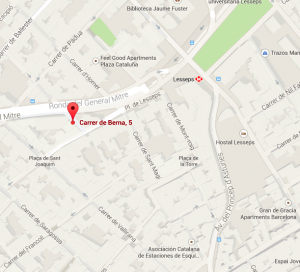 From Plaza Catalunya it takes 10 minutes to get to Dime. Because studying a language isn’t just about knowing rules, we’ve created Spanish courses suitable for you. Because Dime Spanish School is an open, welcoming school where the most important person is the student. Because we are a well-prepared team with long experience in teaching Spanish. We enjoy our work and meeting people from all over the world. 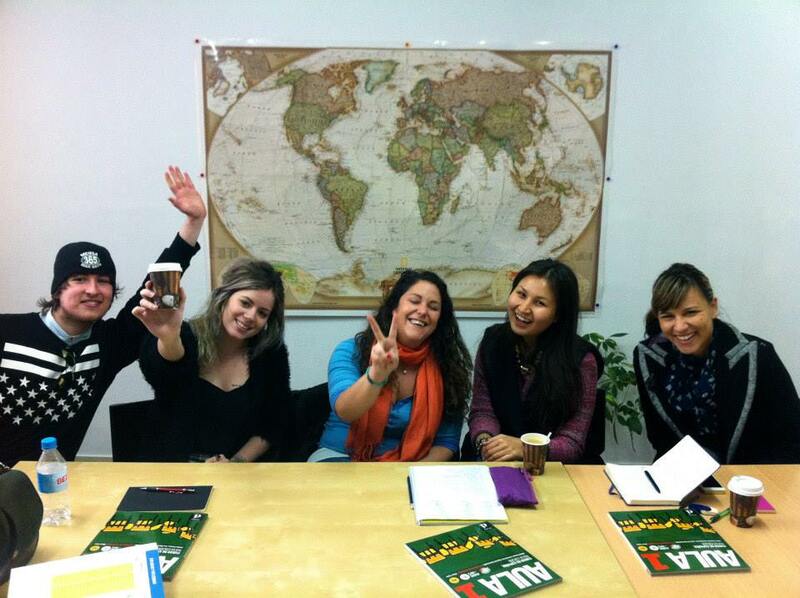 Because our Spanish classes are dynamic and fun – you will get to know the language in a pleasant and natural manner. Because we want you to learn the Spanish language, but also we want you to feel at home in this city and with the culture of the country. Because we organize various extra-curricular activities for your courses in Barcelona every month, so you can get more “in-depth” knowledge about Spanish culture and Barcelona. Because Dime is located next to Plaza Lesseps between Gràcia and Sant Gervasi, two of the most emblematic neighbourhoods of Barcelona. The problem is I don’t have available time every Saturday. Is it possible in weekdays? Tahnk you and more power! Hello. I’m interested taking this Spanish course. I did courses until level B.1.2. But it was a year ago. So I would like to do the test and talk to a teacher. I start university all 4 year degree in Barcelona which is translations so I really need to repeat and learn some more grammar. What are days and hours when the office is open so I can come to speak to someone first? I’m Laura Múrtula the co-director of DIme Escuela. Thanks for your message. We have different courses in the morning also in the afternoon. It depends on the level. Information about Super-intensive course. 550€ per 4 weeks. There are no inscription fees. If you know Spanish we need to do a level test before starting a course. I will send you a writing test and also we need to listen your talk and normally we are doing by Skype or Google Hangout. Or if you are in Barcelona what you could do is to come to the school and speak a little bit with a teacher and then we can tell you the options we have for you. The secretary is open from 10.00 till 1pm to do level test, and some afternoons. If it is possible for you you need to take an appointment to do it. Please contact us for any other question or doubt.